This morning, the Tigers woke up and decided to call their reigning Cy Young winner greedy. Max Scherzer was apparently offered a long-term deal "that would have placed him among the highest paid pitchers in baseball" and he turned it down. So the Tigers put out a press release killing him for it and informing the public that no further negotiations will take place during the season. "The Detroit Tigers have made a substantial, long-term contract extension offer to Max Scherzer that would have placed him among the highest paid pitchers in baseball, and the offer was rejected," the team said in a statement. "As we have reiterated, it has been the organization's intent to extend Max's contract and keep him in a Tigers uniform well beyond the 2014 season. While this offer would have accomplished that, the ballclub's focus remains on the start of the upcoming season, and competing for a World Championship. Moving forward there will be no further in-season negotiation and the organization will refrain from commenting on this matter." Tigers GM Dave Dombrowski also pointed out that the offer was substantial and the result of months of negotiations, so perhaps it's understandable that they are pissed. Still, pointing all of that out is just a tad bit petty, and worse, disingenuous. Each year, players reach, or approach, free agency and get painted as villains—by either the fans, the media or both—for simply wanting to see what they are worth, not what their own team is willing to lowball them. Now it's Scherzer's turn. He is 29 and on a one-year deal worth $15.525 million and then he'll hit the open market. If Detroit doesn't like that, they need to make it worth his while. This is how a contract works. Each side has to give up something, to get something. If the Tigers want Max Scherzer to give up the promise of more money on the open market, then the Tigers have to compensate him for that. It doesn't have to match or exceed his actual worth, because part of Detroit's appeal to Scherzer is money and stability now, which is better than risking the potential for injury. Scherzer evidently felt the offer didn't add up. But teams know that there is still a vibrant section in baseball that hates the big money and they know that if it's clear they tried their best to keep a guy everyone loves, but he just wanted too much money, then they've covered their asses. 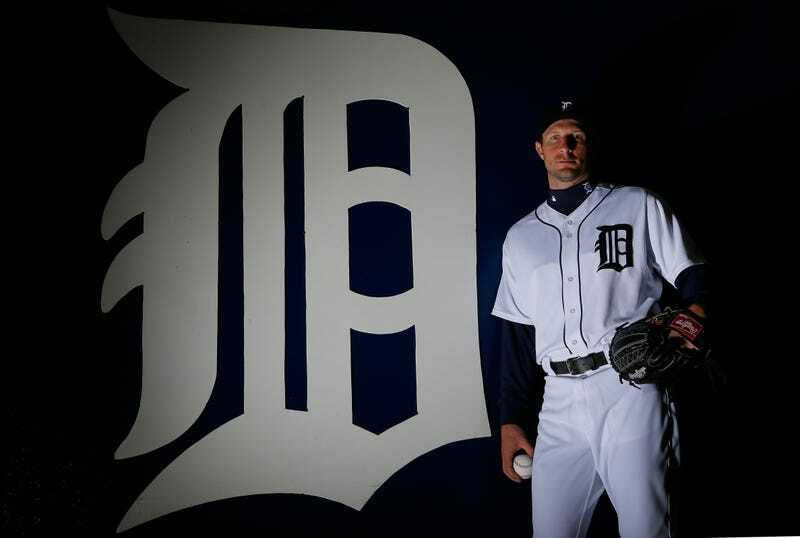 Which is why before the season's even started Max Scherzer's own team has provided the "disloyal" ammunition for all of Detroit.